A twelve month Nationally Endorsed Health Training Package program in Traditional Chinese Medicine (TCM) Remedial Massage [An Mo Tui Na] practice in Australia. This qualification reflects the role of massage therapists who provide therapeutic remedial massages according to the Traditional Chinese Medicine (TCM) remedial massage [An Mo Tui Na] framework. Practitioners may be self-employed as independent practitioners or work in a larger health service. This course is also suitable for those who may be seeking a Traditional Chinese Medicine holistic approach to health and treatment to enhance their existing Remedial Massage skills. Upon successful completion of this qualification, the graduating student will be entitled to practice in Traditional Chinese Medicine (TCM) Remedial Massage [An Mo Tui Na]. Practitioners at this level may supervise other massage therapists. Graduates may find work with other allied health professionals in an existing clinical setting, establish their own clinic or find work within the framework of other health care environments such as hospitals, nursing homes, aged care facilities, medical centres, physiotherapy and chiropractic clinics, community health centres, spa facilities and health resorts, alternative health care centres such as homeopathic clinics and sports medicine centres. Graduates are recognised by the following professional complementary medicine associations for accredited membership. Graduates who maintain accredited membership are eligible for provider status with relevant private health insurers (health funds). Applicants must be over 18 years of age and have completed the higher school certificate or equivalent and have read and understood the terms and conditions of The Australian School of Remedial Therapies Participant Handbook. Successful completion of the HLT42015 Certificate IV in Massage Therapy or HLT40312 Certificate IV in Massage Therapy Practice would be desirable. The opportunity of combining both HLT52015 Diploma of Remedial Massage and HLT52115 Diploma of Traditional Chinese Medicine (TCM) Remedial Massage is available. Enrollment in both courses over one year is available at special discounted fees. Please email admin@asrt.edu.au or ring 0297632388 or text 0416286899 to make further enquiries. This qualification consists of 20 units. 14 core units and 6 elective units, consisting of at least 1 unit from the Business Management group and up to 5 units from the Other Electives. 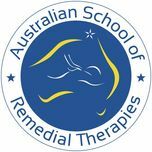 ​The elective units have been selected by the Australian School of Remedial Therapies after feedback from industry consultation. 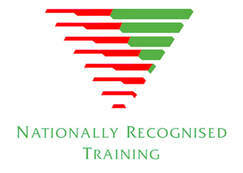 Students with prior learning, studies, work and or life experience may qualify for recognition or credits (RPL) for modules and or units within this qualification. ​Units may be assessed using a combination of written work, submitted assignments and research, tests, quizzes, written and practical examinations, practical application, class participation and attendance, scenarios and participation in clinical practice programs. This qualification reflects the role of massage therapists who provide general health maintenance treatments. It does not reflect the role of a remedial massage therapist. Practitioners may be self-employed or work within a larger health service.